Friday again! Tempus Fugit! 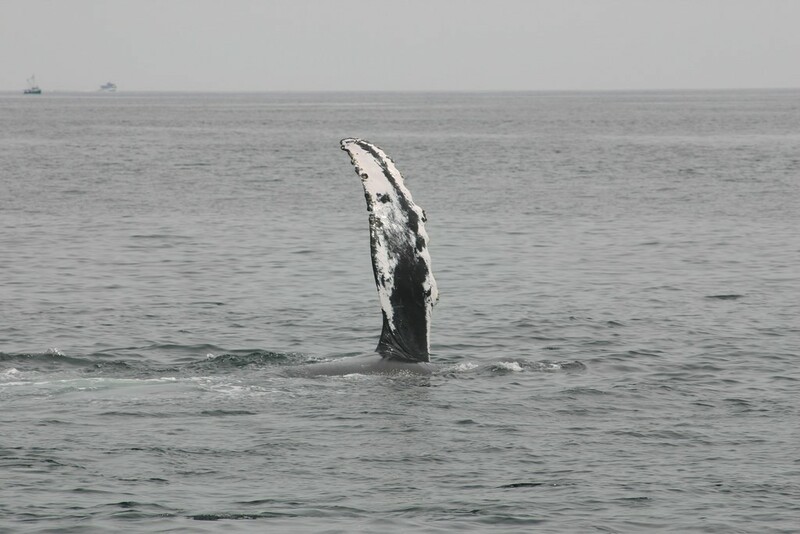 Weekends are synonymous with having a whale of a time so what better subject than whales for this week’s #FavFotoFriday? A customary thanks once more to Sandy of Scribbles and Musings for inspiring this weekly feature. You will hear more of Sandy over the weekend! 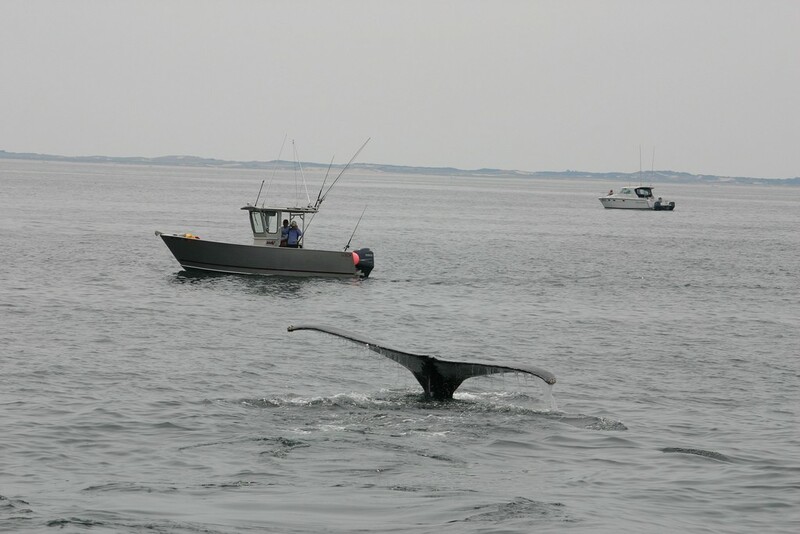 These pictures were all shot on a whale watching trip off Cape Cod. It was an eventful day especially when a whale actually did appear. It brightened up what was otherwise a gray day. It was a typical sunless North Atlantic day and reminded me of being back in the UK. It was a humpback whale. This is what National Geographic has to say: Humpbacks are powerful swimmers, and they use their massive tail fin, called a fluke, to propel themselves through the water and sometimes completely out of it. 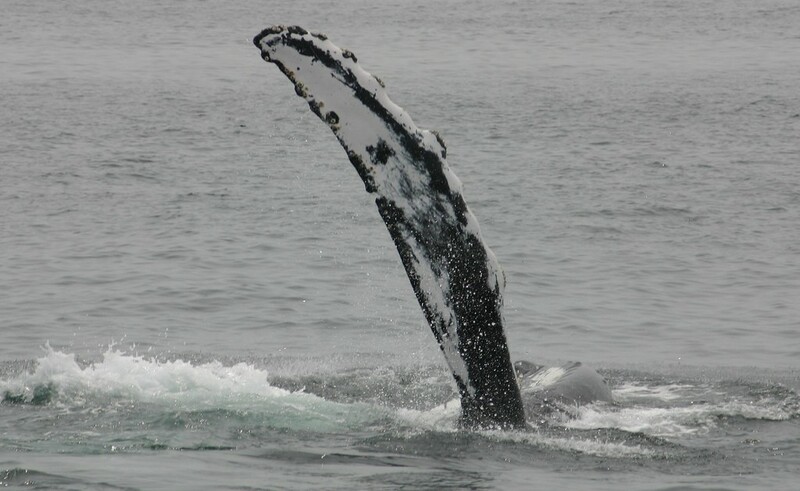 These whales, like others, regularly leap from the water, landing with a tremendous splash. Scientists aren’t sure if this breaching behavior serves some purpose, such as cleaning pests from the whale’s skin, or whether whales simply do it for fun. The above shot was shot in color. The grays and black and white effect were down to the weather! I think the shot above gives the viewer some idea of the size of a whale. This picture above was taken shortly before it disappeared. It was waving goodbye! This post and other posts and pages on this site contain affiliate links, which means I receive a small amount of commission if you make a purchase using these links. You pay the same price even if you don’t use my links. The commission is not added to the price you pay at checkout. All opinions expressed about a product or service are my own. I have received no free products or services. I only promote brands that I have full confidence in. This website is independently owned and operated by Stephen Bentley. 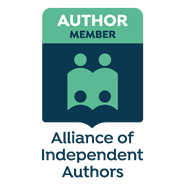 As such, the small amounts of affiliate commission payments help to offset the site’s running costs. Love it! Great photos! Whales and dolphin watches are a favorite thing to do when we manage to get away. So exciting to see them come to the surface and breach! 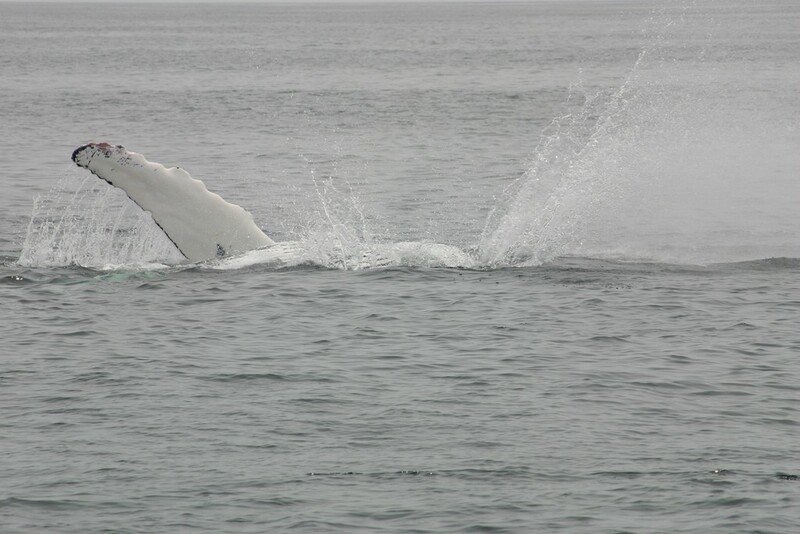 That was my one regret on an otherwise wonderful day out – I never saw a whale breach!